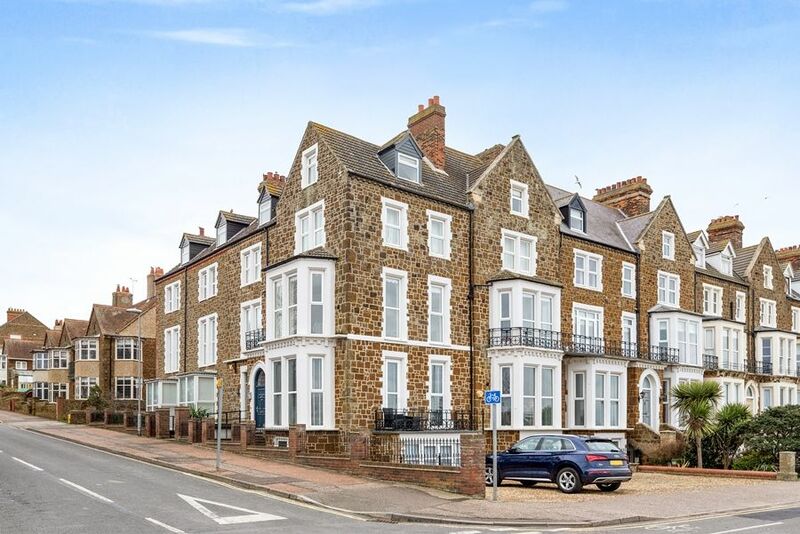 The Loft is a beautifully presented, spacious contemporary apartment, situated within a Victorian period townhouse in a prime location with stunning sea views. 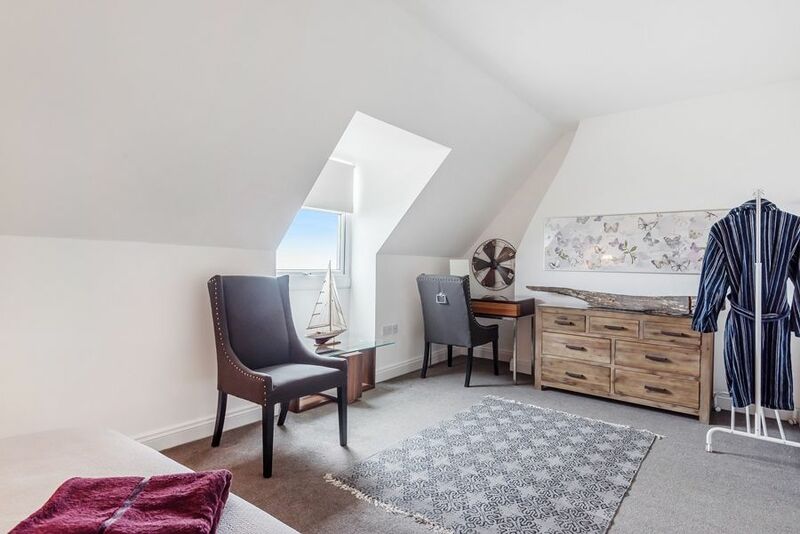 This top floor apartment has been tastefully refurbished to an extremely high standard with great care and attention to detail, to ensure all is perfect for a luxurious and relaxing stay by the sea. 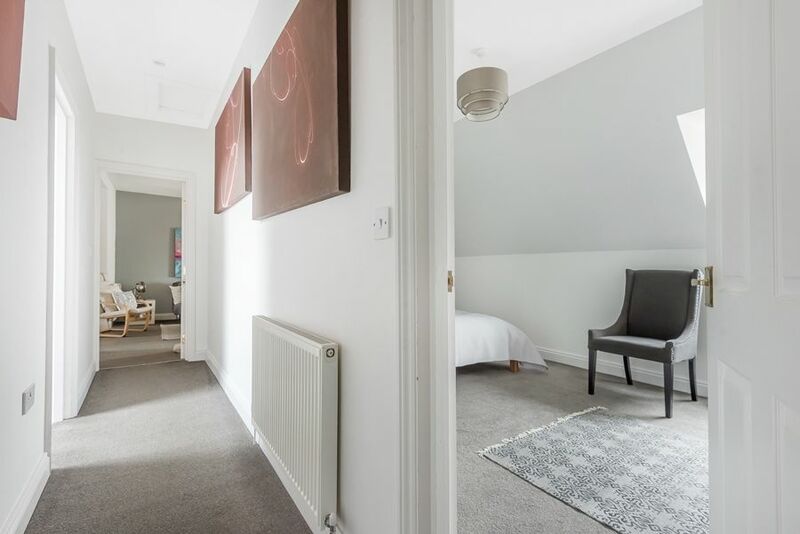 Guests are assured a good night's sleep in the boutique hotel style king-size bedroom, with a second single bedroom and contemporary bathroom. 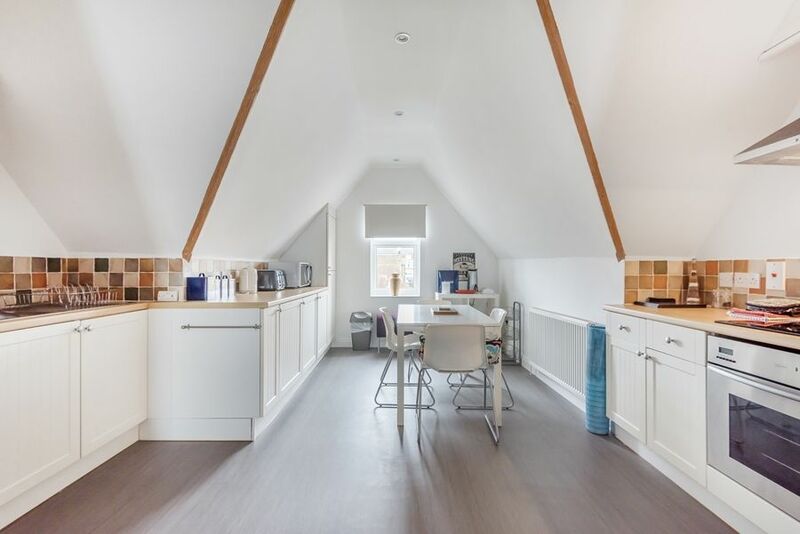 There is a light and airy living area with a vaulted ceiling with plenty of space to relax or to cook and dine within the well-equipped kitchen. 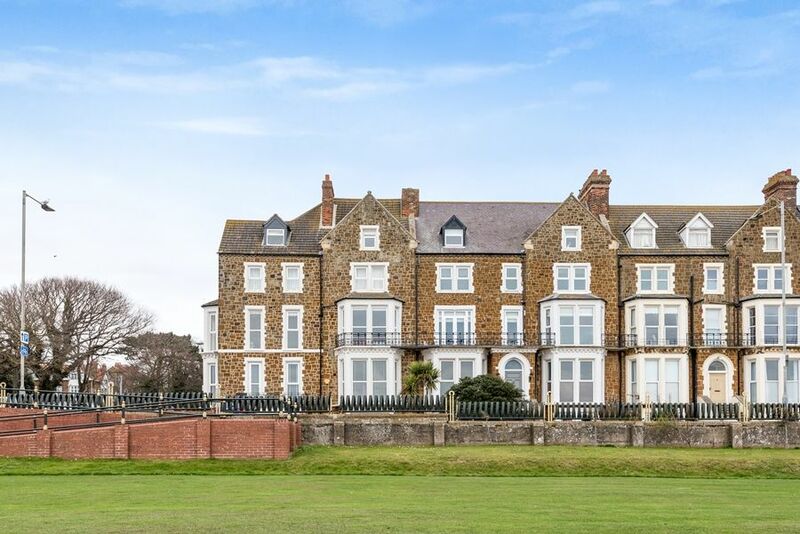 It's ideally located on the north Norfolk coast within steps from Hunstanton's blue flag sandy beach, Boston Square's award winning Sensory Gardens and local attractions a wide choice of places to eat and drink. 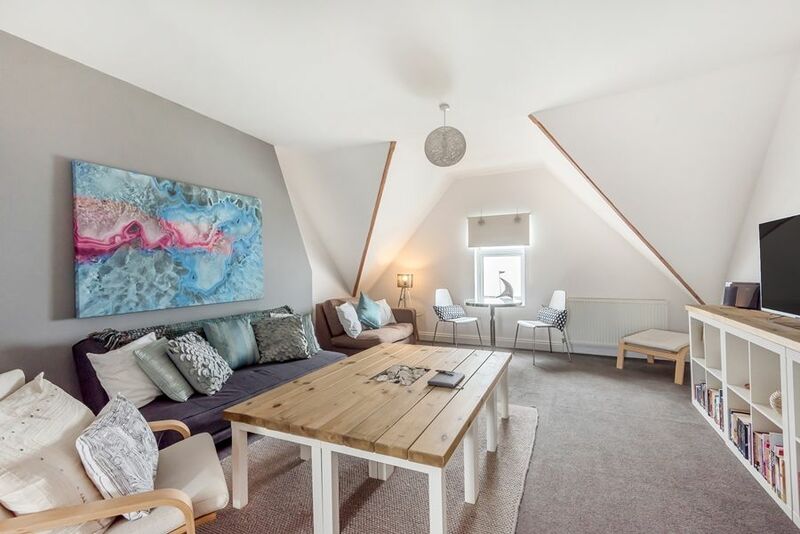 The Loft is ideally situated on the north Norfolk coast with attractions such as The Wash National Nature Reserve and RSPB reserves of Snettisham, Holme and Titchwell within easy reach. 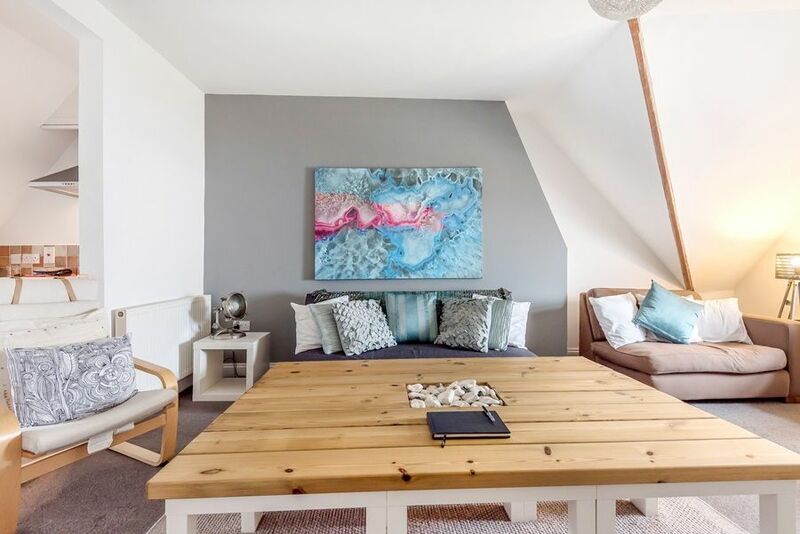 The loft is on the second floor of the prestigious Connaught House with an entry phone system and well-maintained communal lobby where there is a lift (or stairs) to the second floor. Guests should note that there is a short flight of stairs (not steep) which leads up to The Loft (apartment 7). 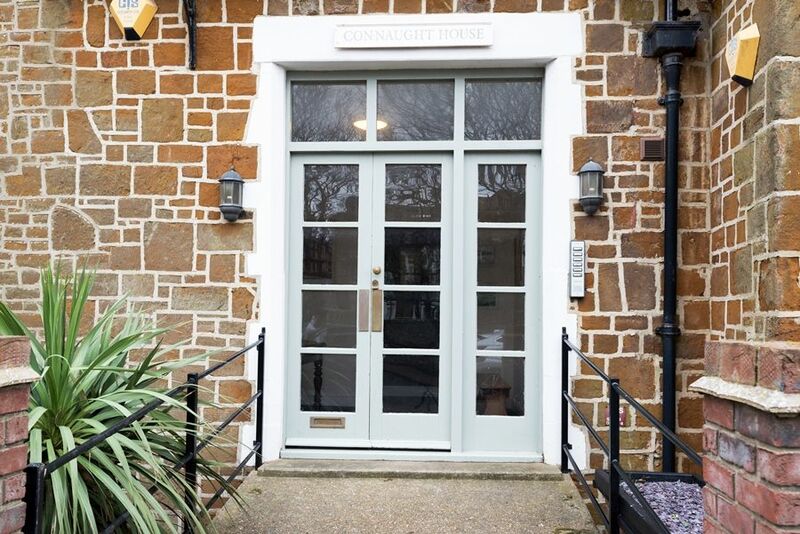 Please note that smoking is not permitted in The Loft or any of the communal areas within the building, as is the case with all of our holiday cottages. 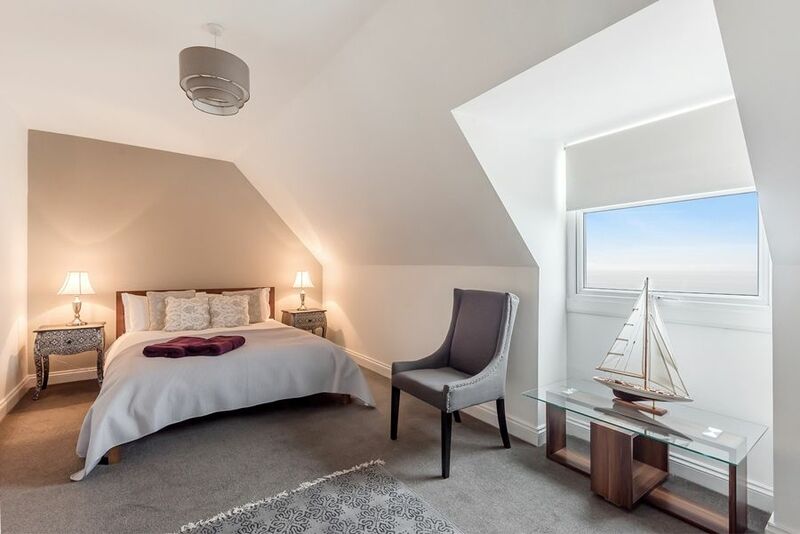 The apartment is on one level and has been renovated to a very high standard to offer comfortable, stylish and contemporary accommodation with uninterrupted sea views. 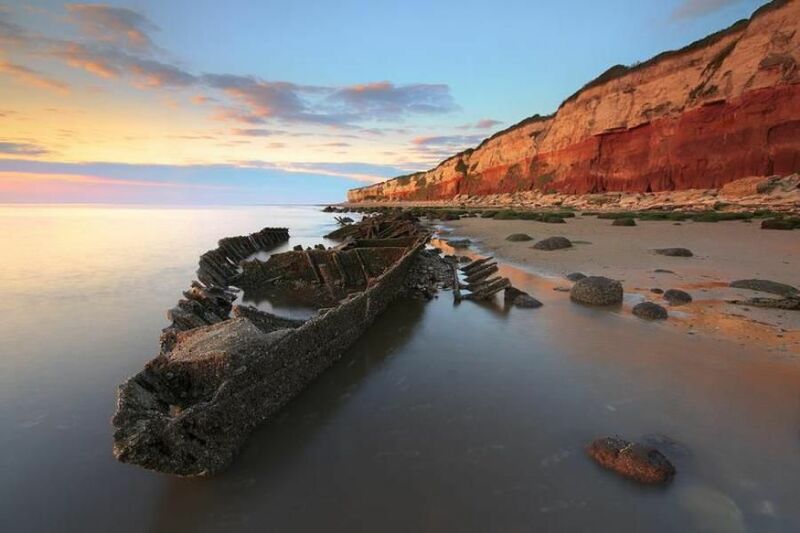 Guests will enjoy spectacular sunsets as Hunstanton is the only place along the east coast where the beach faces west. There is a wonderful open plan living/dining/kitchen area with a high vaulted ceiling and window with stunning sea views. 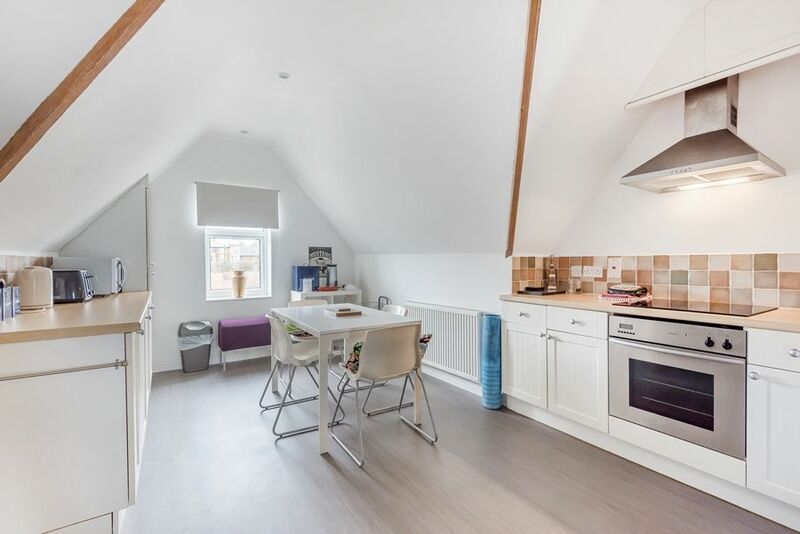 Kitchen: has exposed beams and vaulted ceiling and is well-equipped with an electric fan oven and 4-ring halogen hob, extractor hood, microwave, integral fridge, integral freezer, dishwasher, Hotpoint washer/dryer, wine cooler and some complimentary essentials. There's a good-sized kitchen table with 4 chairs and seat cushions. 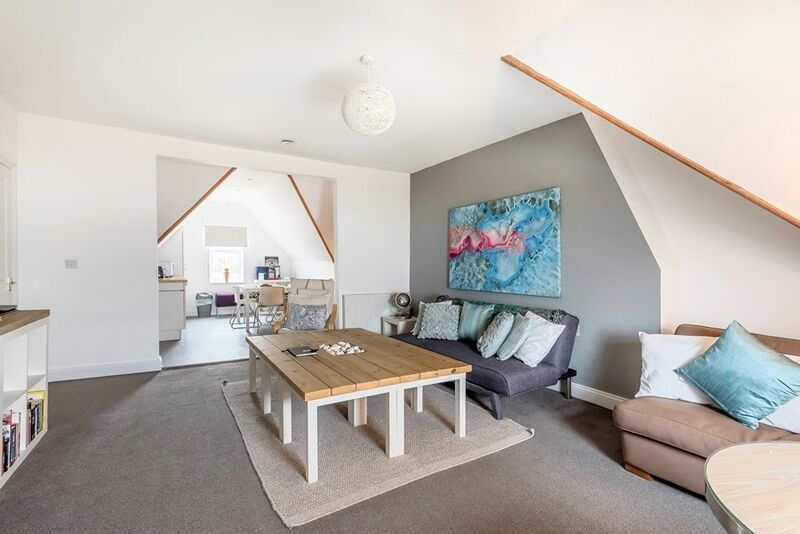 Sitting area: refurbished with a large sofa, love-seat, armchair, large coffee table and freeview digital 42" Sony TV/Blu-ray/DVD player, Hifi system with bluetooth, ipod connection and CD player, with a selection of DVDs and books for guests to enjoy. 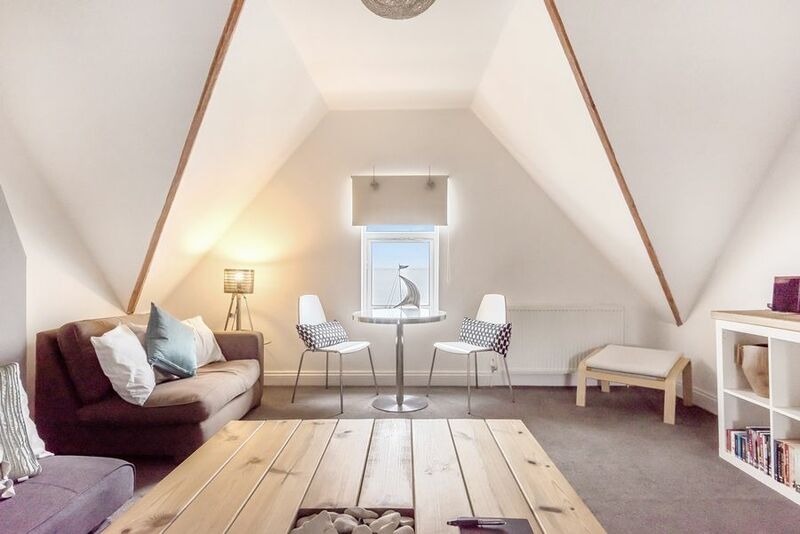 Ideally positioned next to the window is a circular dining table for 2 which enjoys stunning sea views. 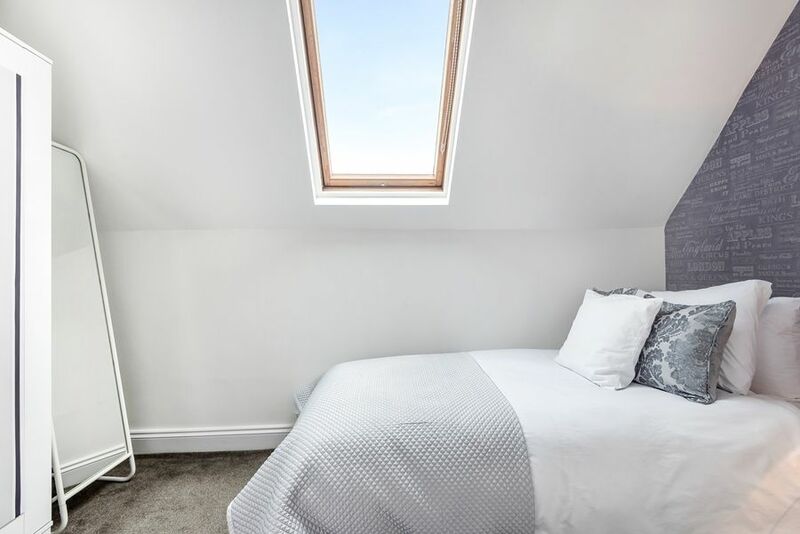 Bedroom 1: a spacious room with a king-sized bed with luxury hotel quality goose feather and down all seasons bedding and Egyptian cotton bed linen. There are bedside tables and lamps, two regal chairs and coffee table underneath the window overlooking the sea and a chest of drawers. 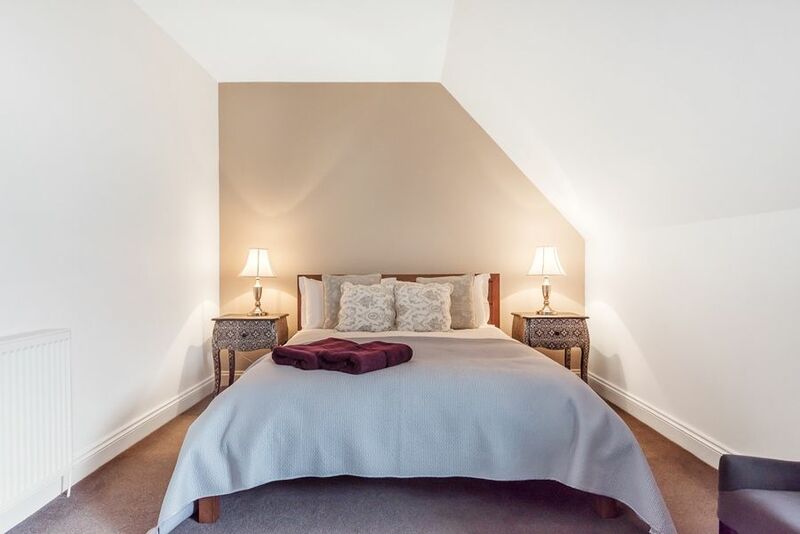 Bedroom 2: a smaller room with a single bed, wardrobe, heated towel rail, powerful hair dryer for guests' use. 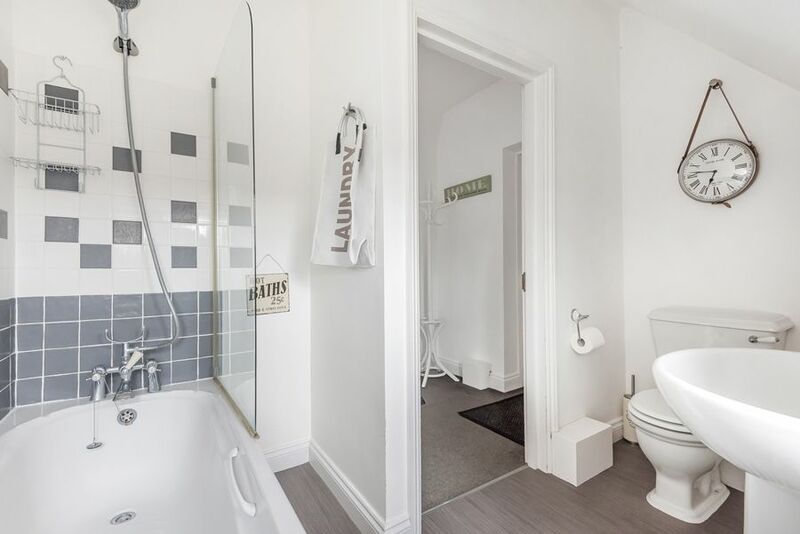 Bathroom: With a bath with shower over, hand basin and WC. Egyptian hand and bath towels are provided with some complimentary essentials. There is no allocated parking but there is plenty of free parking directly outside Connaught House in Boston Square. 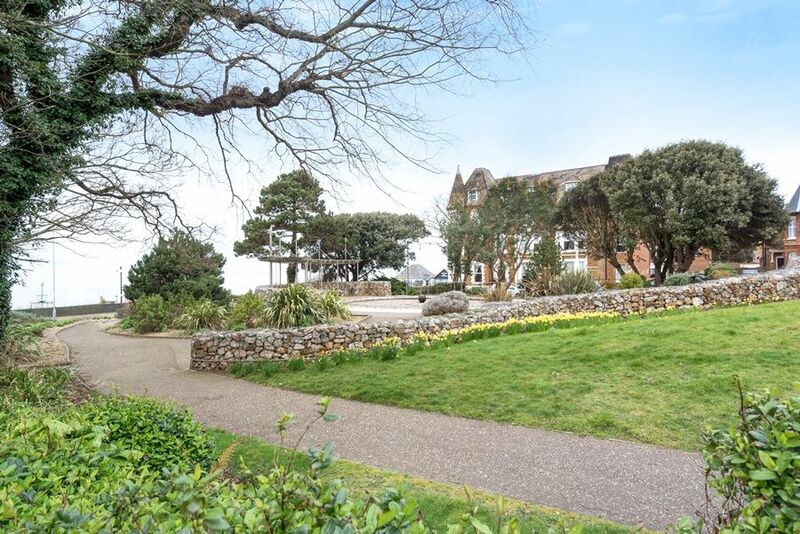 Sensory Gardens are located opposite the Connaught House entrance with the award winning Anglia in Bloom gardens just across the road, with its many benches and sea views. We found everything was just as good as our Summer visits. Thank you! Stylish, modern, welcoming and comfortable. Welcome package is very thoughtful and a lovely start to our holiday. The Loft has lost none of its magic. Our third visit and can’t wait to come again! Wonderful apartment with excellent views. Would love to stay longer. We wished we owned the property! Thank you for the welcome gifts, nice thought. The apartment was perfect - just what we wanted. We’ve had a lovely week here. Sad to be going home after a lovely week in Hunstanton, a perfect break. 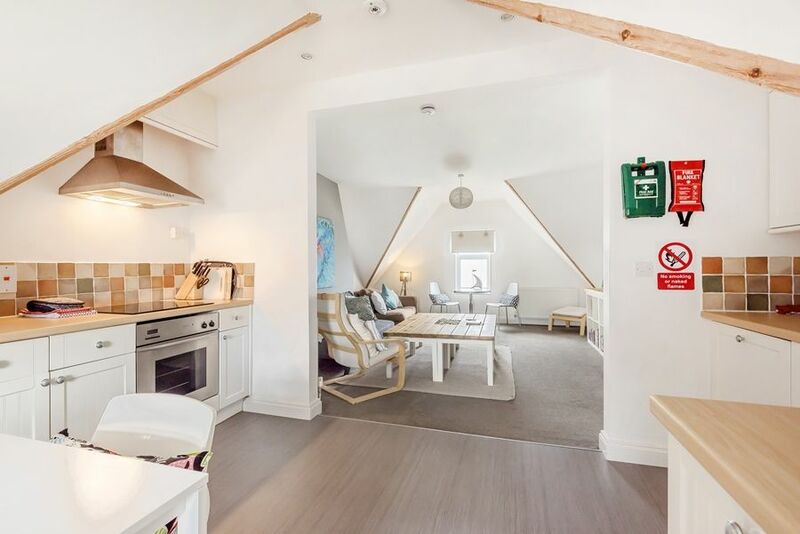 The loft is an outstanding apartment with wonderful views, sunshine and lovely walks. Thank you for the perfect welcome pack. We will be back!! The best property we have stayed in and we have been clients of Sowerbys for the past 8 years. Another relaxing holiday. Can’t say enough how much we love the comfort of the lovely apartment. Wonderful Apartment. The weather has been very hot. We had some lovely walks. The views from this apartment are wonderful. Very clean. We loved it! We liked everything! 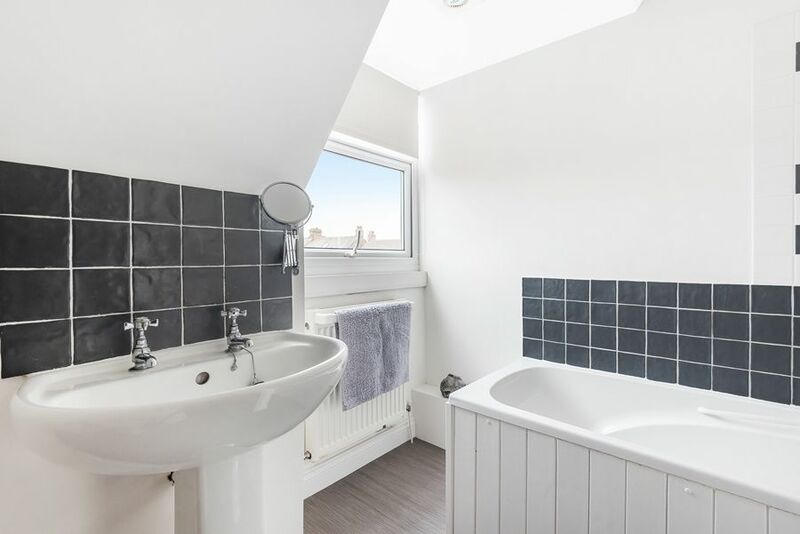 Especially the sea views. Another lovely long weekend break (we were here last year!) 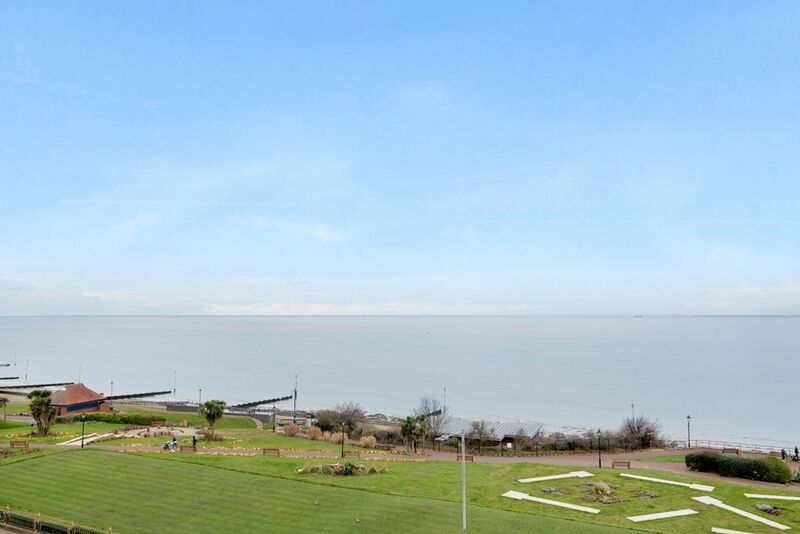 Ideal apartment, location, views, long walks and great weather. 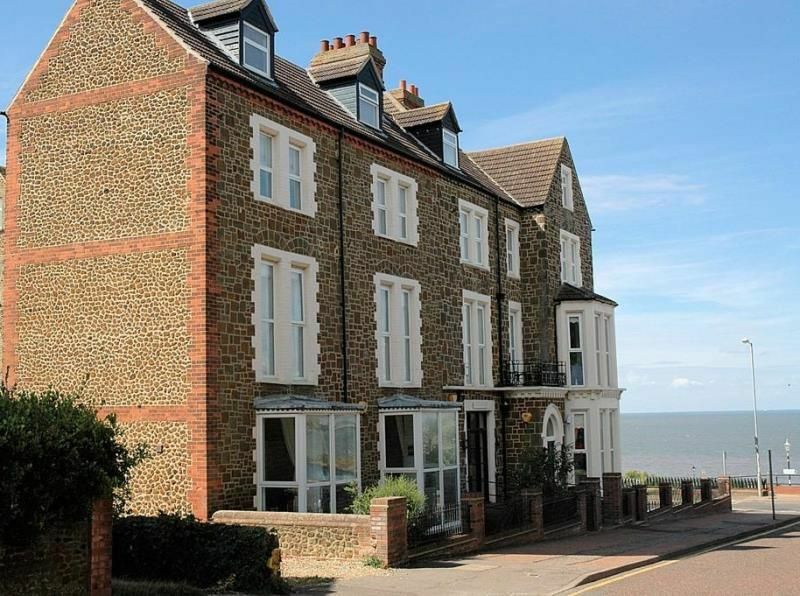 Very lovely short break enjoying the Norfolk coast, weather was excellent and the apartment was very comfortable and in a great location. 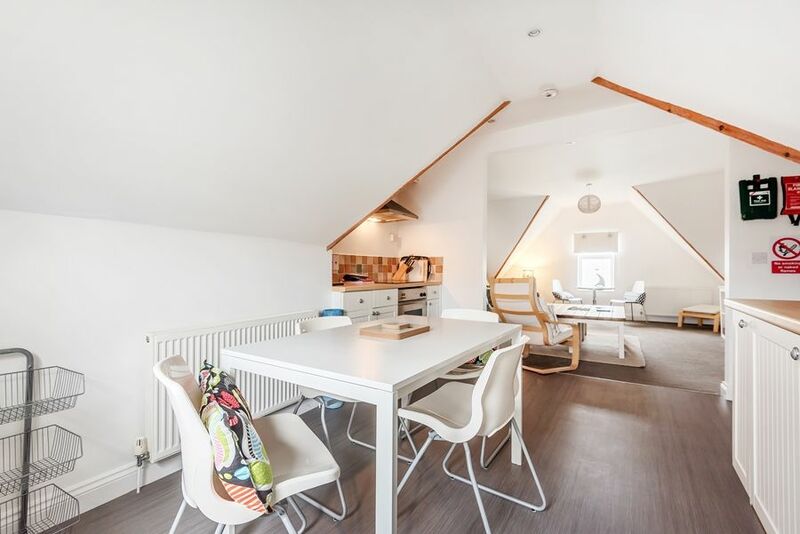 Lovely apartment with everything we needed for weekend away. We’d defiantly stay again! Had an amazing New Year break. Local beaches and walks were fantastic. Thank you very much! Wonderful, cosy, New Year break. Beautiful apartment with fantastic sea views. Thank you! Great apartment, nice to be able to see the sea. Comfy and homely, good place from which to explore. Thank you. Our second visit and we will come again to this wonderful retreat! Thank you! Fantastic. Loved the apartment and sea view. Good to be near the beach. Hope to return! Thank you! Great apartment and location. Lots of sun and sunsets. Thank you for wine, cake and flowers. Hope to return. As promised we returned. Just as relaxing as last year! Thanks again for the lovely welcome to this home away from home. See you soon! Lovely apartment - great sea view. Thank you for the goodies! Lovely apartment - thank you. Ideal location for time of peace and reflection, and perfect for book writing. 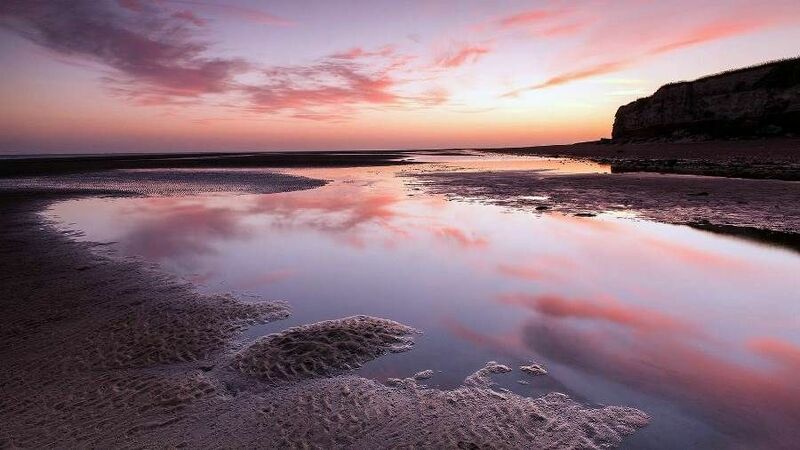 Hunstanton is a coastal town and resort facing the Blue Flag beaches of the Wash. You can watch the sunset over the sea as it is the only town on the east coast that faces west. The beaches are long and sandy and the town is famous for its magnificent striped cliffs. There are two supermarkets and a good range of shops and places to eat. 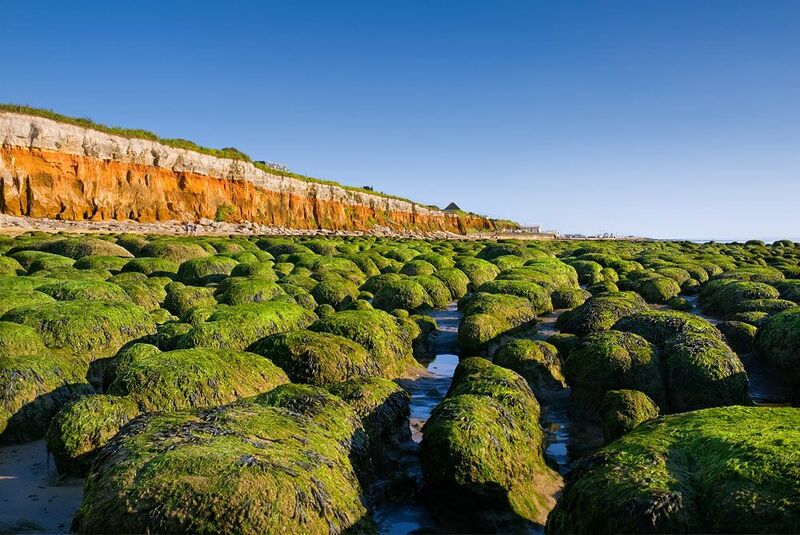 For the golfers there is the superb championship course of Hunstanton golf club. The Royal Sandringham Estate is only a short distance away with its famous house and gardens. 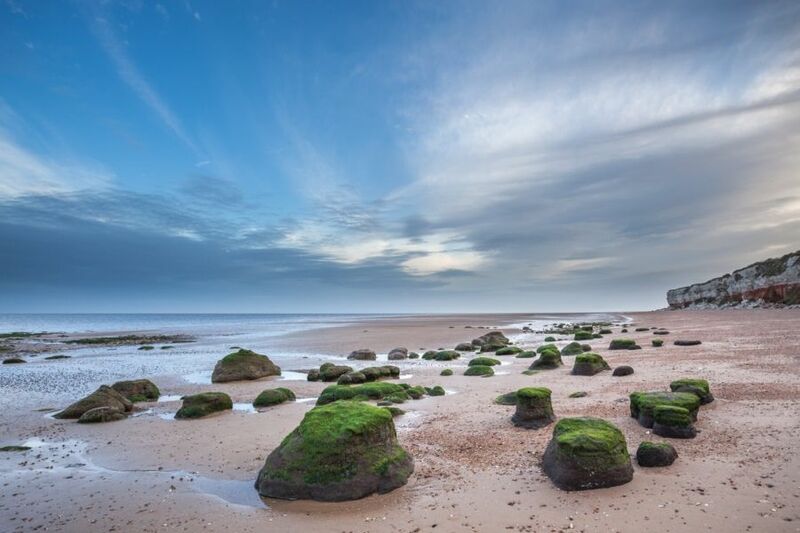 If you would like to see more of our holiday homes in and around the Norfolk coastal town of Hunstanton, please click here.